You are here: Home › Should Wichita Pursue Texas League Team? 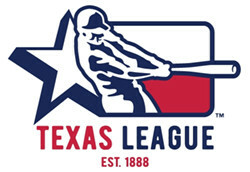 Should Wichita Pursue Texas League Team? Discussions continue about a potential franchise shift in the Texas League, and some are making the case that Wichita should enter the mix. The potential relocation of the San Antonio Missions has caused a rare stir within the league’s footprint, with several cities in the picture to attract the franchise. A new downtown ballpark in San Antonio would likely be utilized by the relocating Colorado Springs Sky Sox (Class AAA; Pacific Coast League), putting the Missions on the move. Amarillo has had discussions with Elmore Sports Group–the owner of both teams-–and is already known to be seriously pursuing the Missions. A group in Lubbock also recently pushed to have an initiative for a new ballpark put up for referendum. Efforts in Lubbock have stalled, which is raising discussion about whether Wichita should make a case for the Missions. Wichita last hosted Texas League action in 2007, the Wranglers final season at Lawrence-Dumont Stadium before relocating and becoming the Northwest Arkansas Naturals. Since Wranglers’ departure, Lawrence-Dumont Stadium has experience something another act, continuing to serve as home of the National Baseball Congress World Series and hosting the Wichita Wingnuts (Independent; American Association) since 2008. For Wichita, though, affiliated minor-league baseball can be a key component of potential development around Lawrence-Dumont Stadium. The Delano District, to the north of the stadium, is a popular area for nightlife and shopping. Intrust Bank Arena is just a few blocks away, as are the Hyatt and Drury Plaza Broadview hotels. The view from Lawrence-Dumont into downtown Wichita has always been epic. A renovated L-D could be a spark that ignites even more development near the Arkansas River, which has been underdeveloped and underused for decades. There is a new library being built less than a mile from Lawrence-Dumont and many more people are living downtown now than when the Wranglers departed. With the right management and a ballpark that entices, affiliated minor-league baseball can work here. But there are many hoops to jump through before it can happen, and the most challenging will be the hoop labeled “money.” Can city leaders find a way to come up with the cash to fix — or even rebuild — the stadium? Cost would certainly be a factor in this case, but then there is the question of whether a renovated or significantly overhauled Lawrence-Dumont Stadium is enough to attract a team, particularly when new ballparks are on the table. Amarillo is proposing a brand new facility, and it would seem that other markets will do the same if talks in Amarillo stall. (The group in Lubbock already did.) There is also the unknown factor of what the cost would be to bring the facility to Texas League standards. Of course, this depends on a lot of pieces falling into place, the first of which will need to be a Pacific Coast League ballpark in San Antonio.